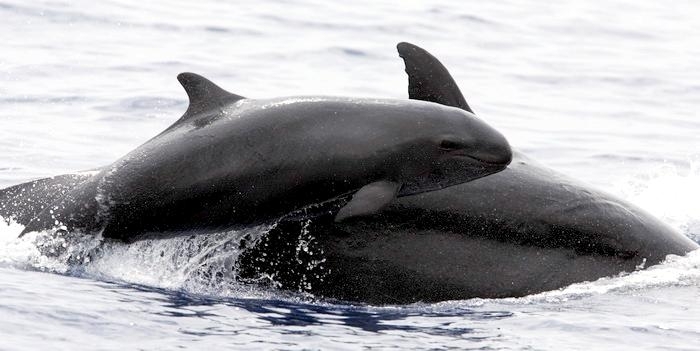 Melon-headed Whales are close in size to Pygmy Killer Whales and bear a strong resemblance from a distance. Adult males reach up to 2.7 meters in length, adult females up to 2.6 meters in length. 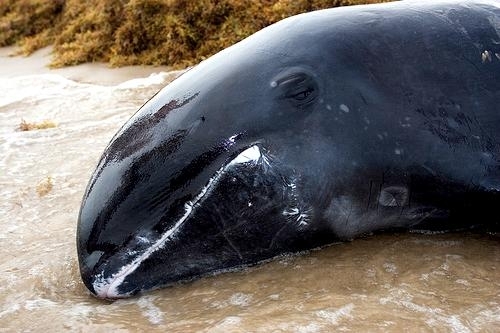 Their maximum weight is about 225 kilograms. 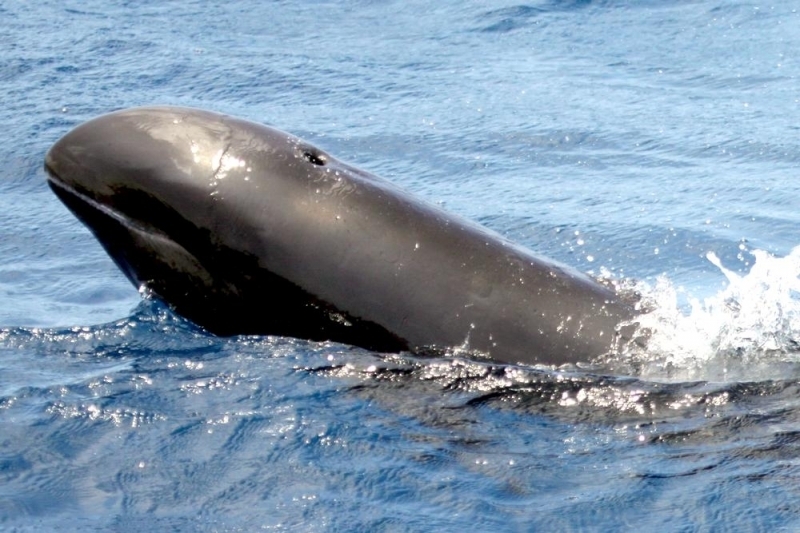 The Melon-headed Whale has a rounded somewhat triangular head when viewed from above or below. 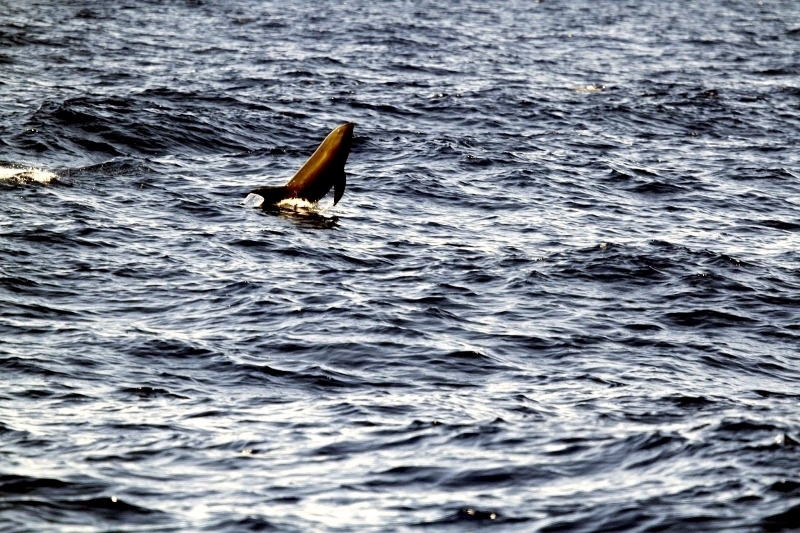 When viewed from the side, the head appears rounded. 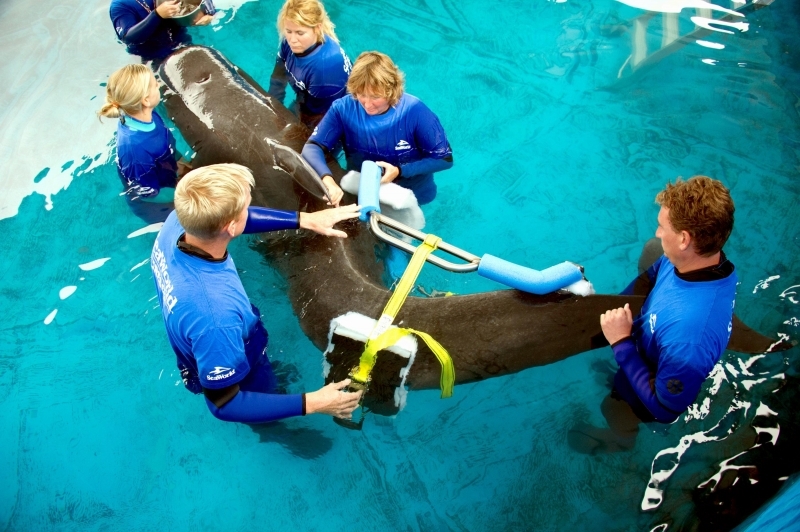 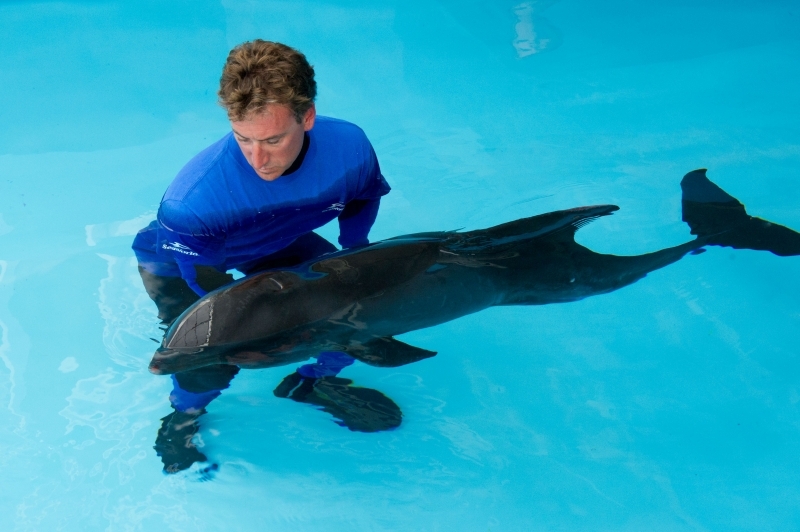 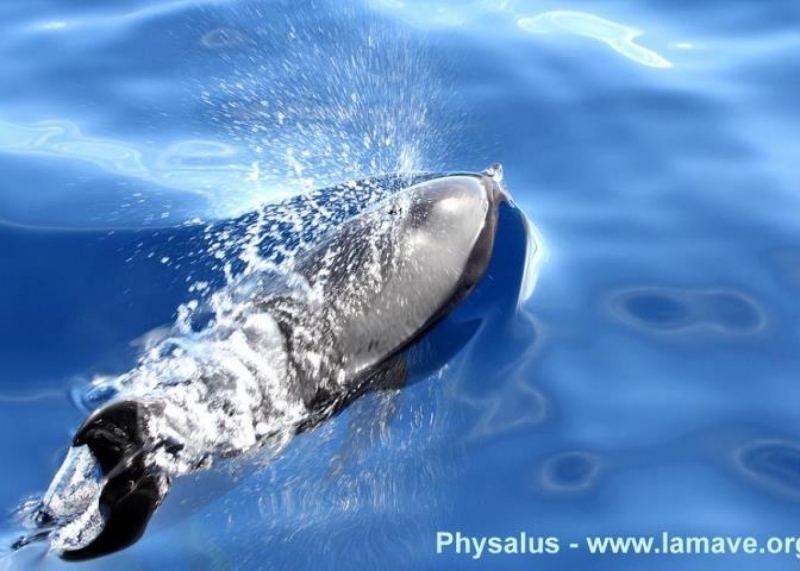 Females & juveniles have an indistinct beak and have a distinct dorsal fin located in the middle of their back. 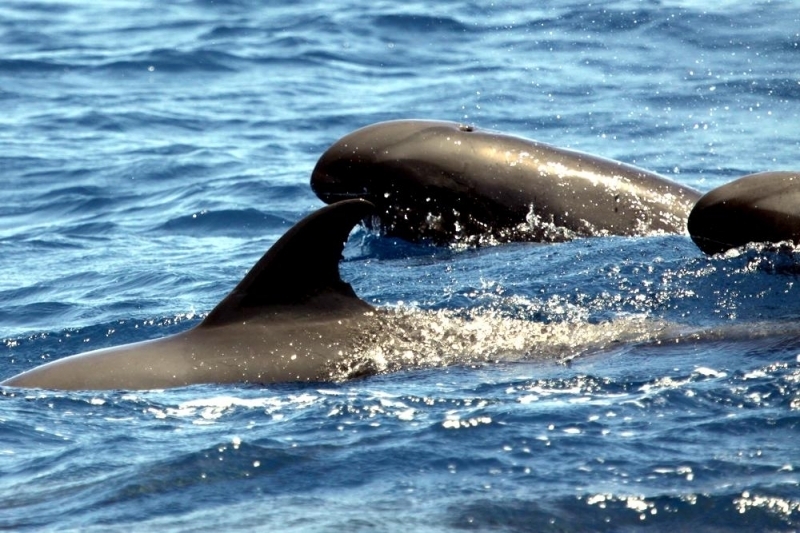 Their flippers are long & pointed at the tips, a characteristic that differs from the more rounded flippers of the Pygmy Killer Whale. 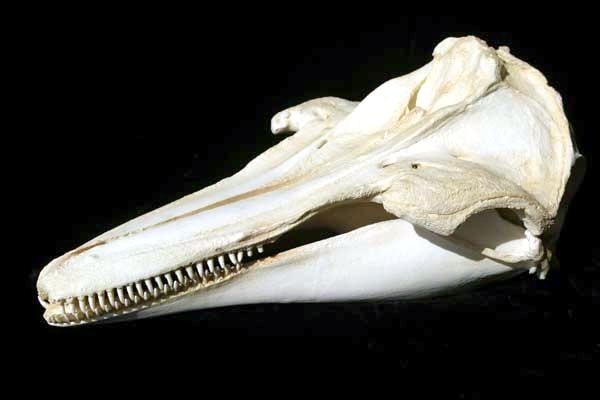 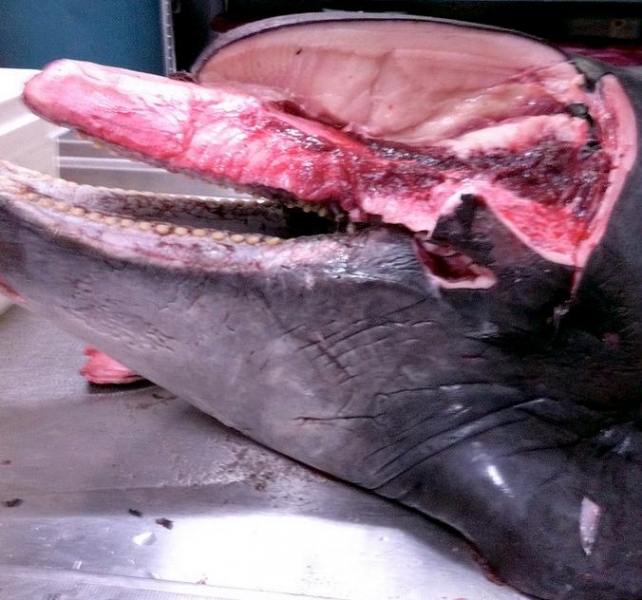 Melon-headed Whales also have twice as many teeth as the Pygmy Killer Whale; the upper jaws have 20-25 sharp-pointed teeth and the lower jaws have about 22-24 teeth. 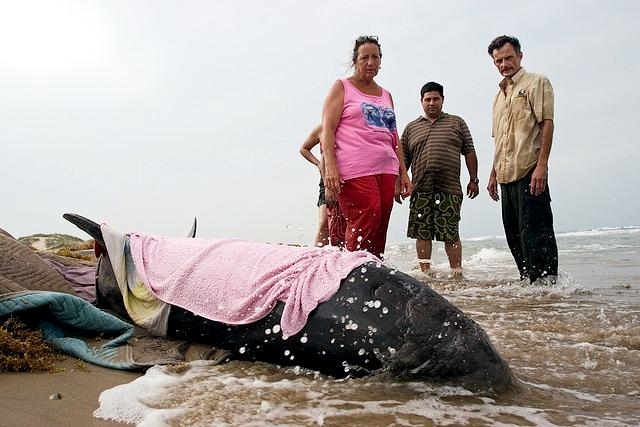 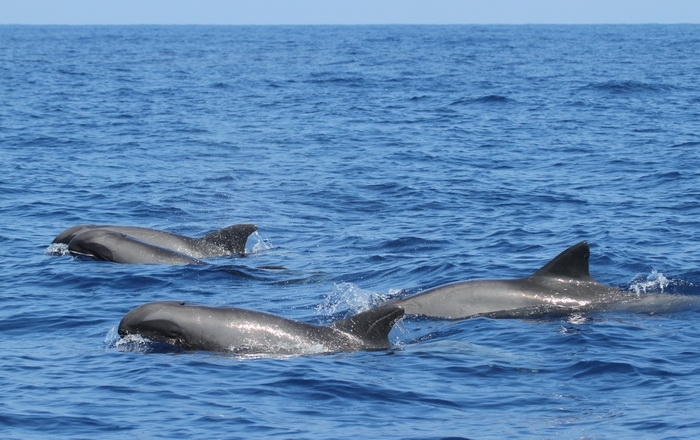 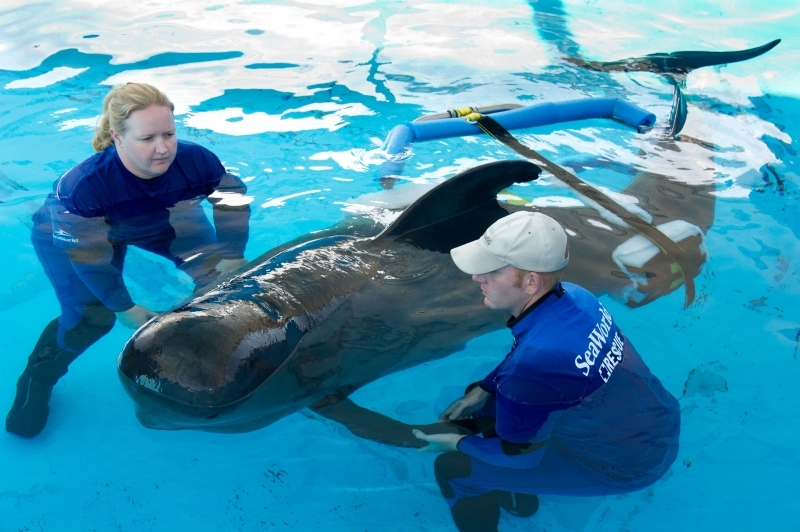 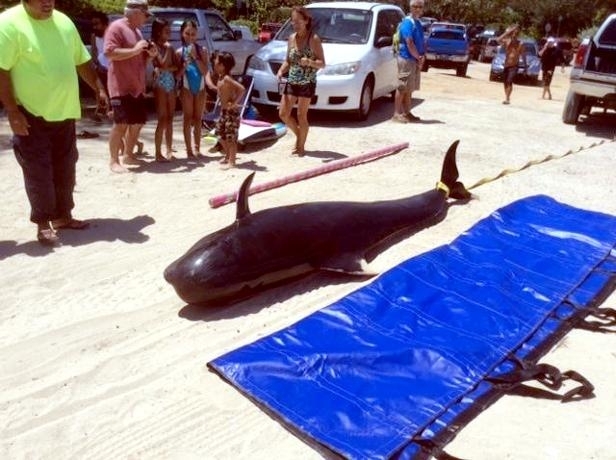 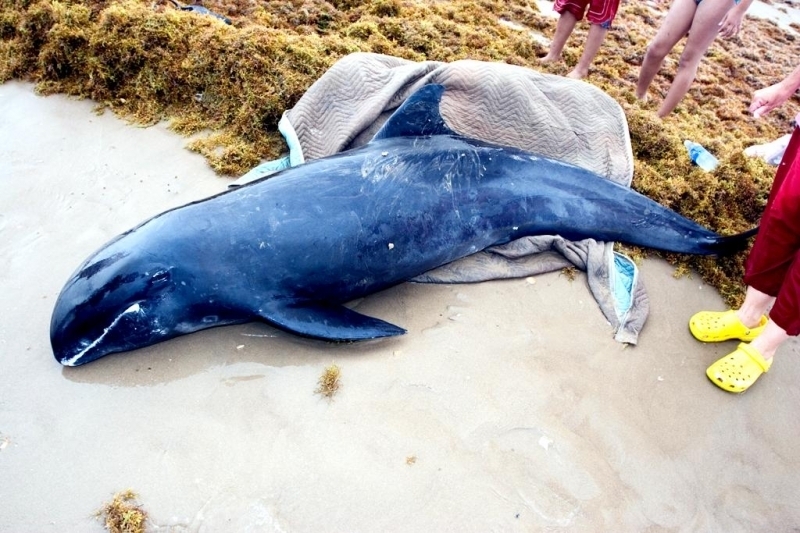 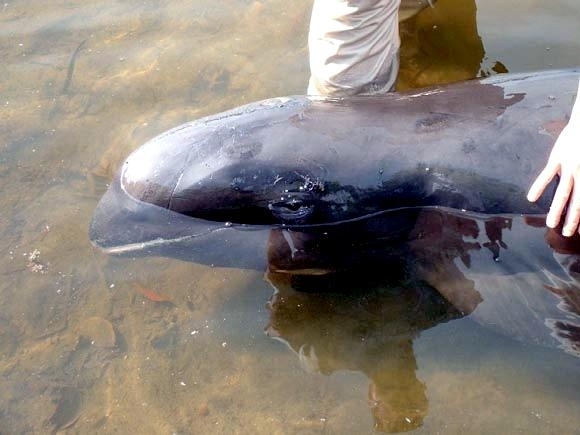 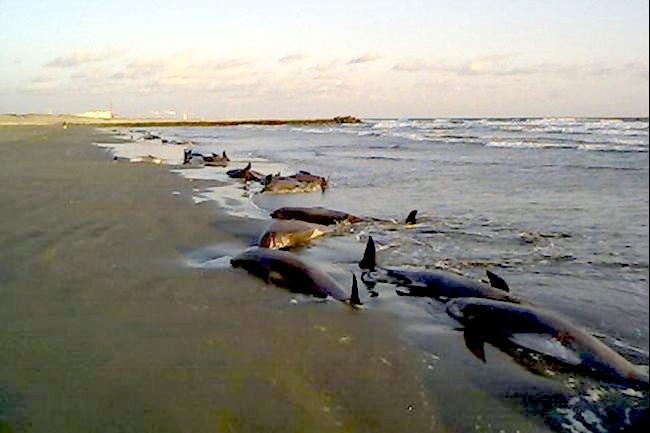 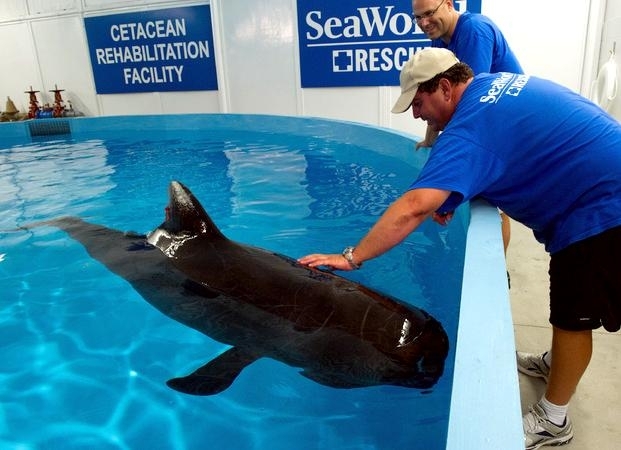 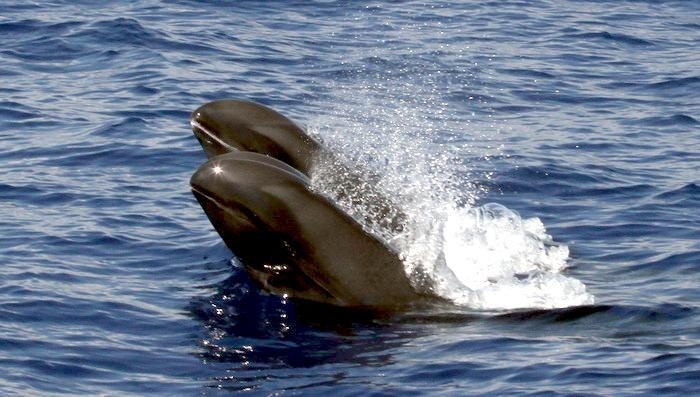 They are dark gray to black in color with white to light gray coloring on their ventral (under) side and like the Pygmy Killer Whale, white lips. 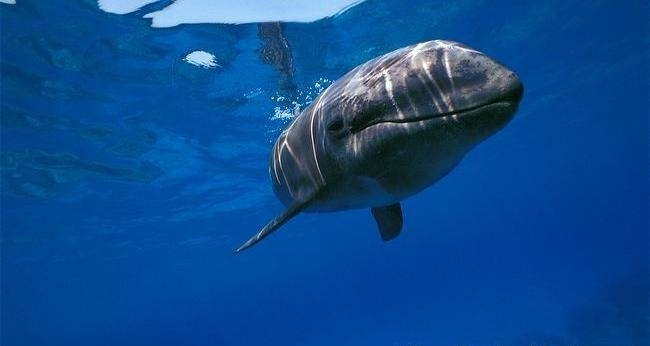 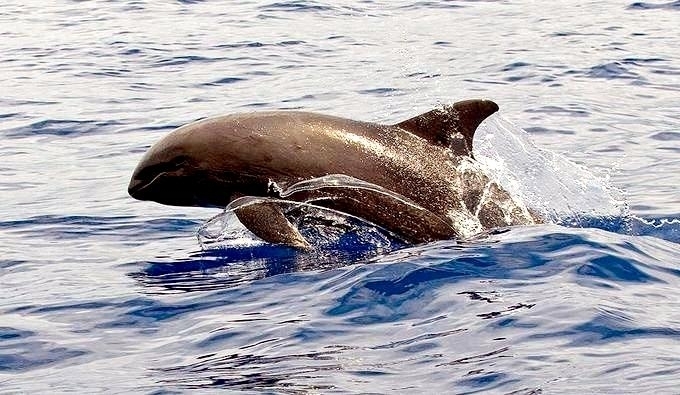 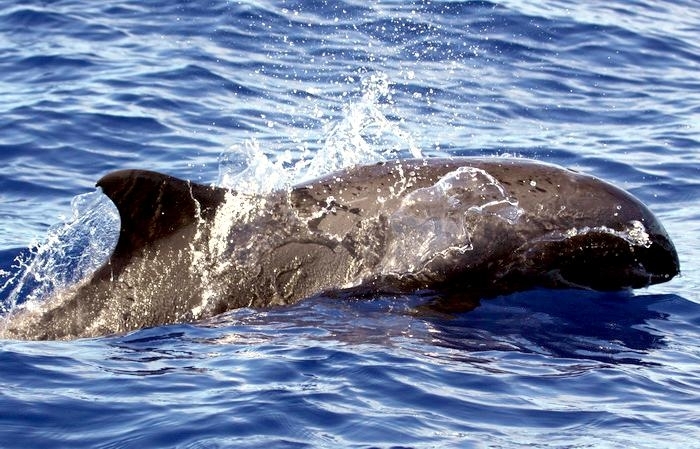 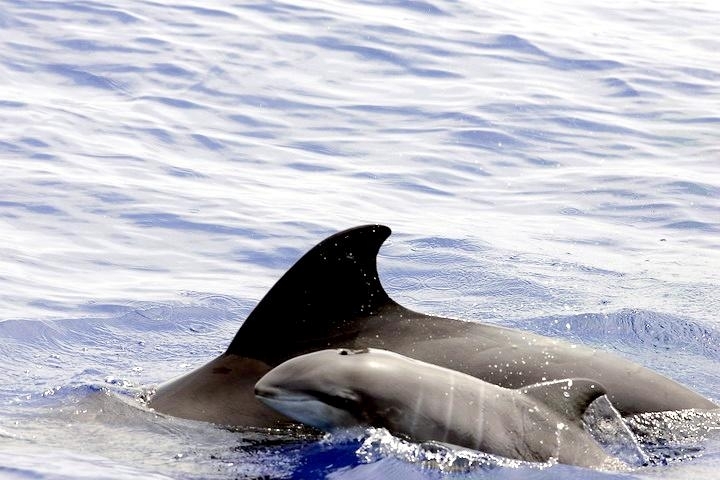 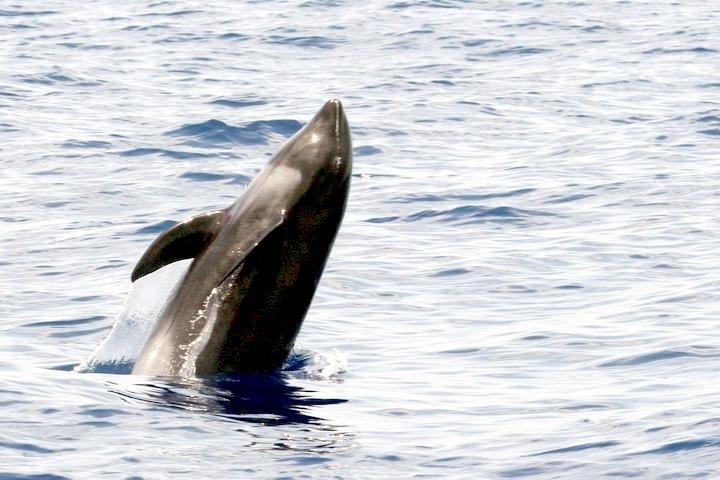 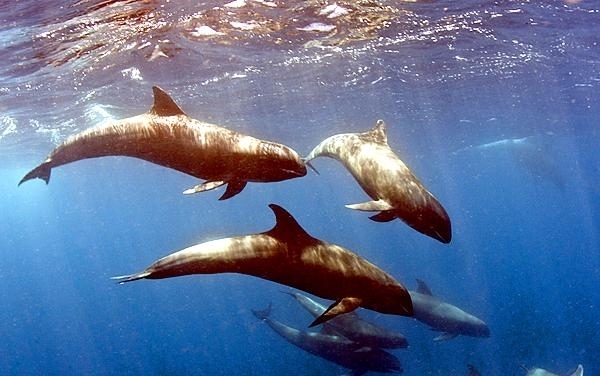 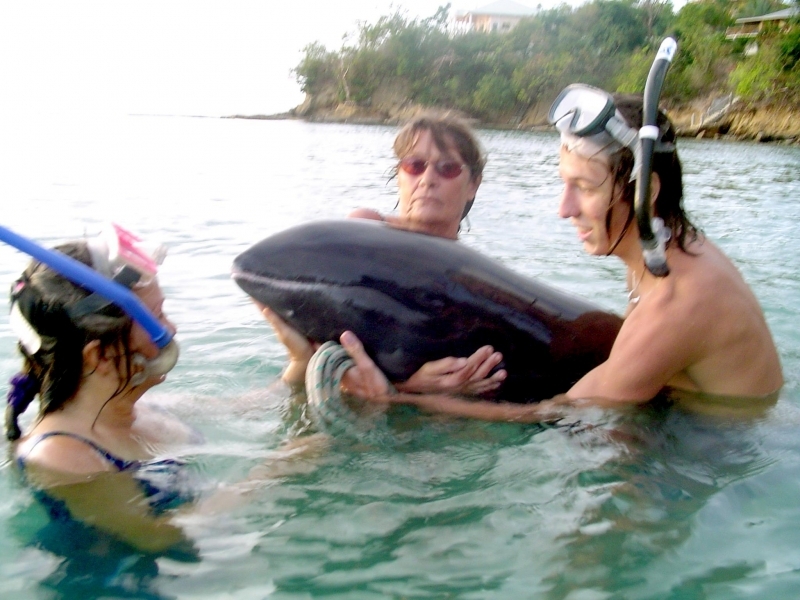 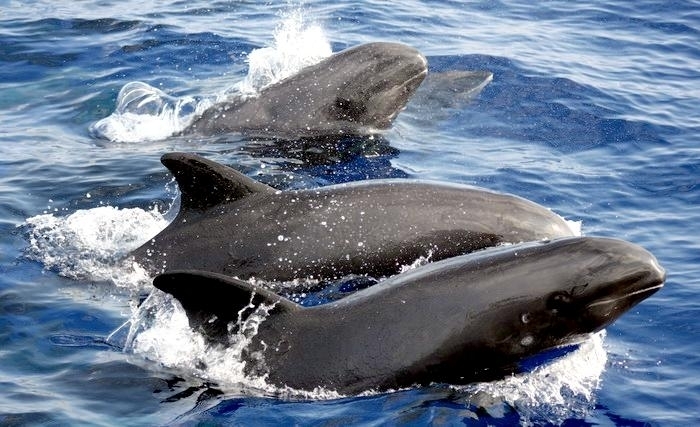 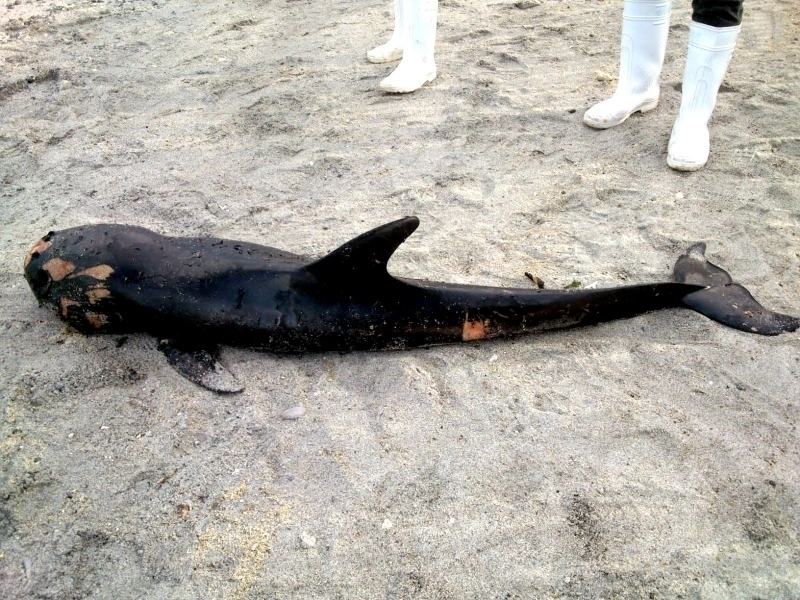 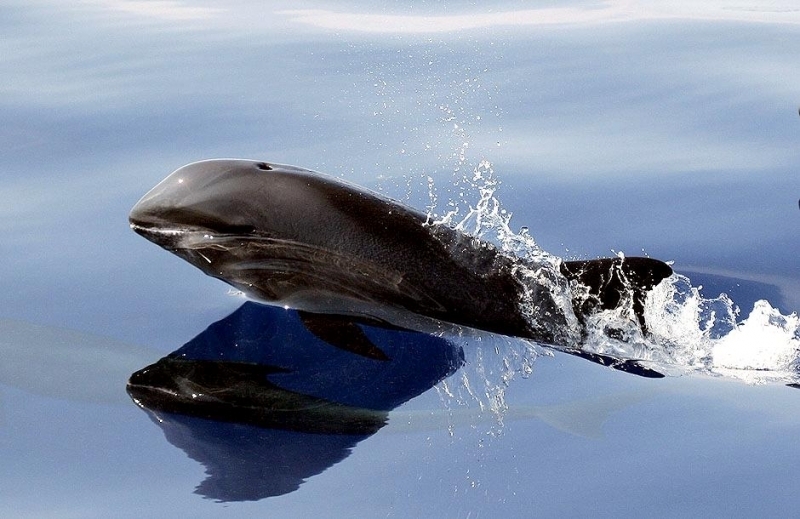 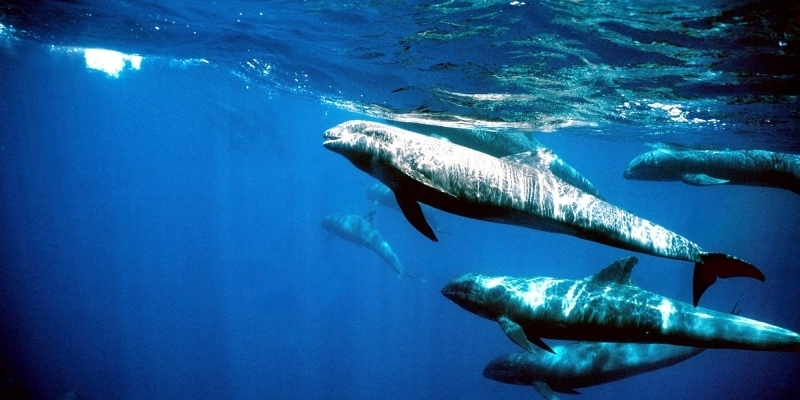 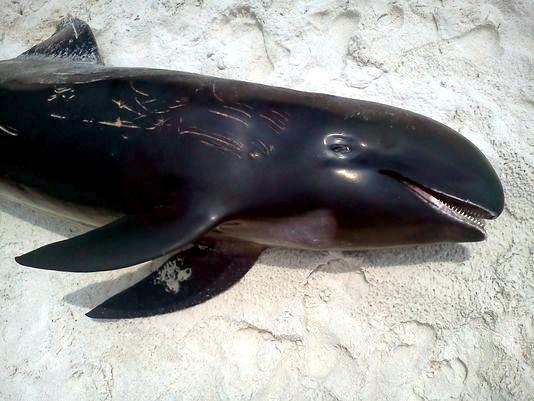 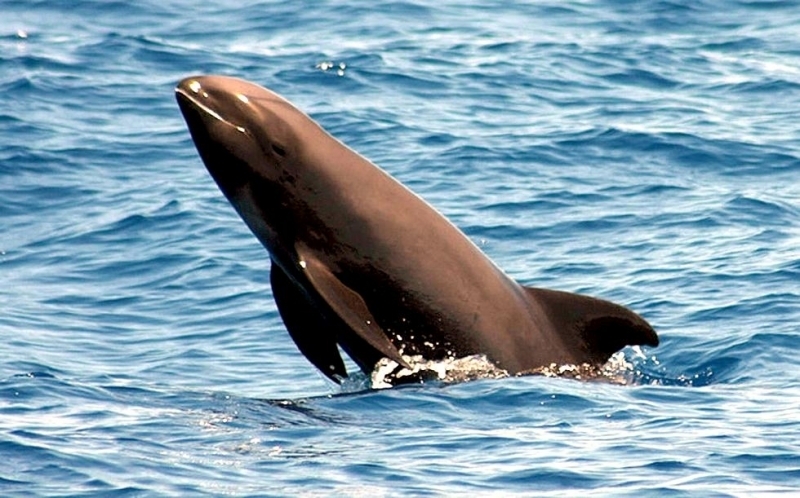 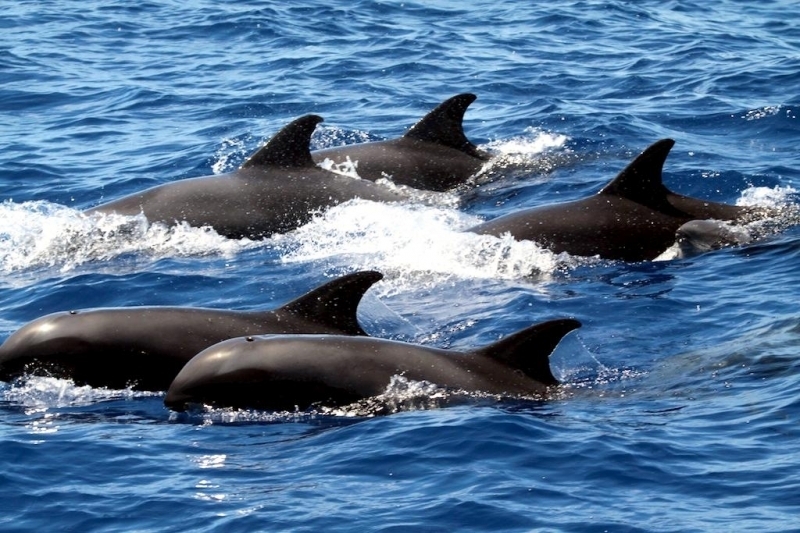 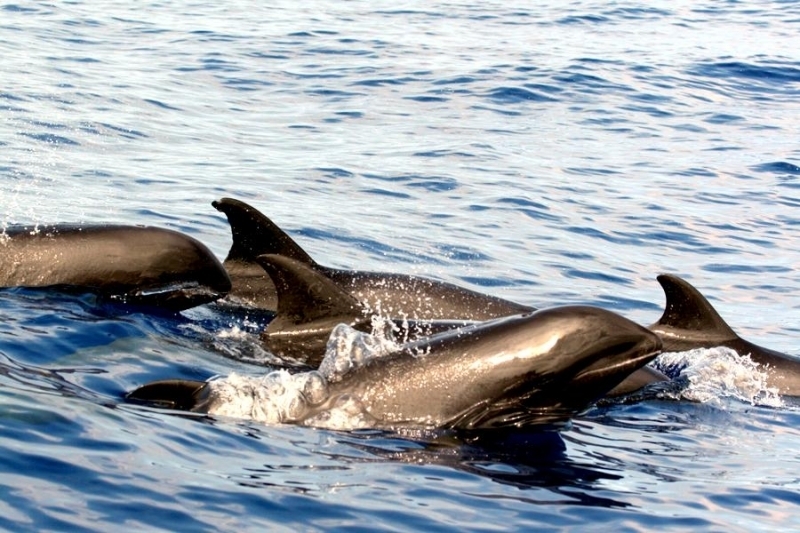 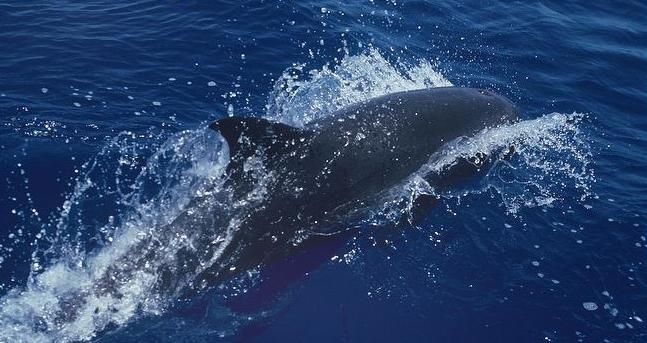 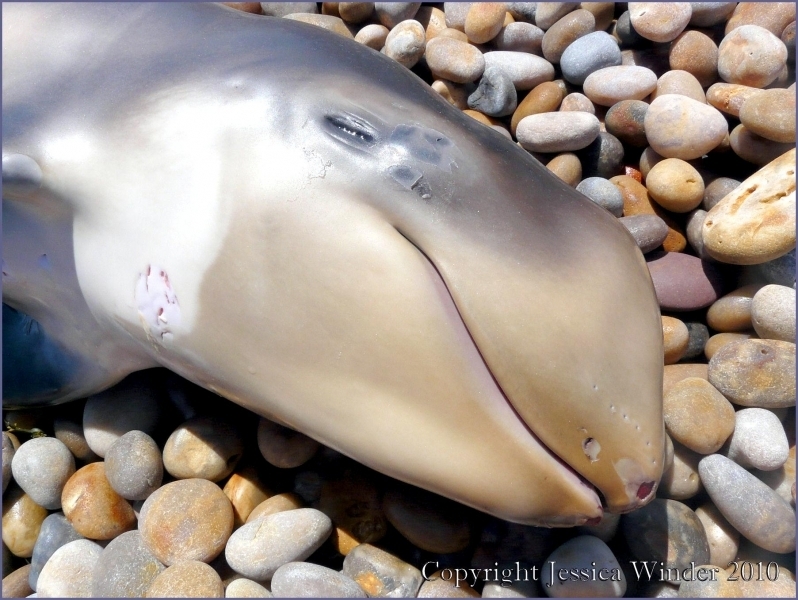 The black triangular “mask” on the face distinguishes them from the more uniformly colored Pygmy Killer Whales. 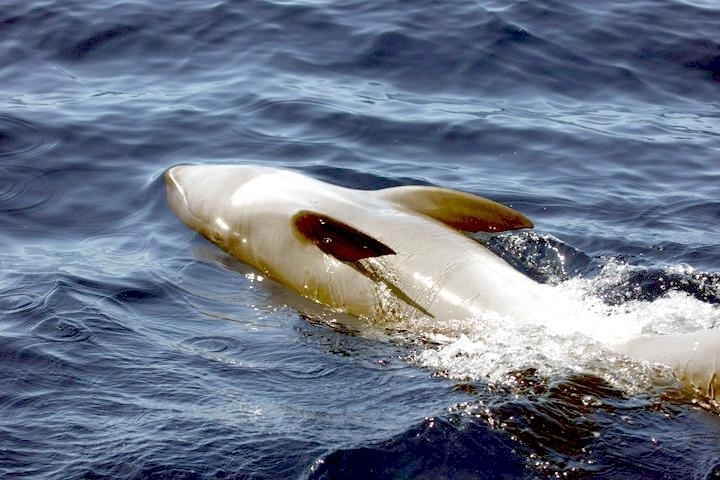 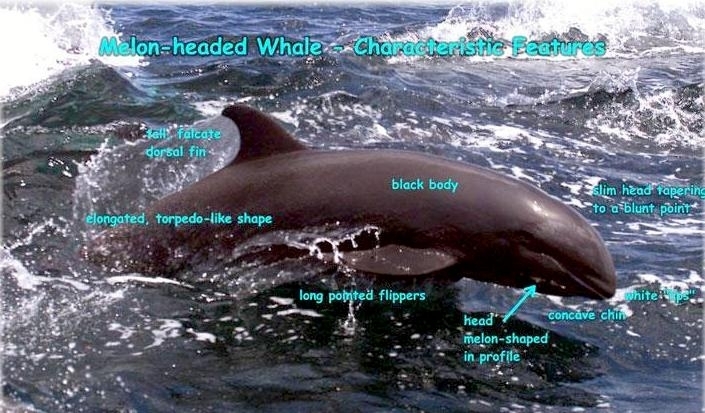 Melon-headed Whales also have a cape that dips much lower below the dorsal fin than that of Pygmy Killer Whales, although its margin is often faint. 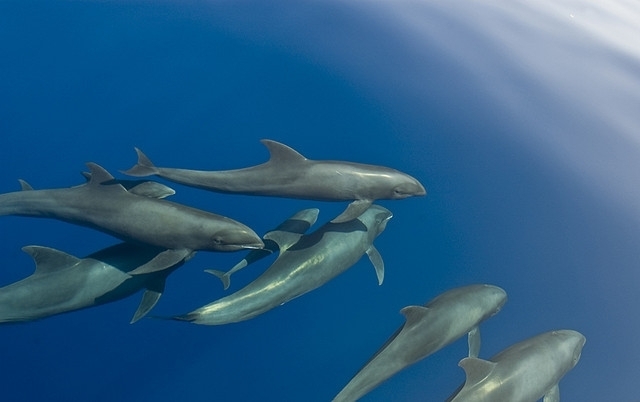 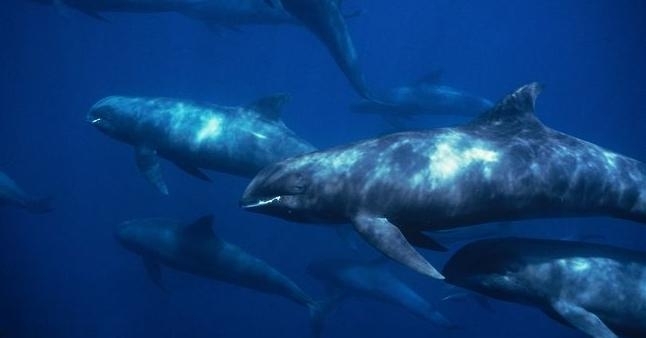 Melon-headed Whales are a social species. 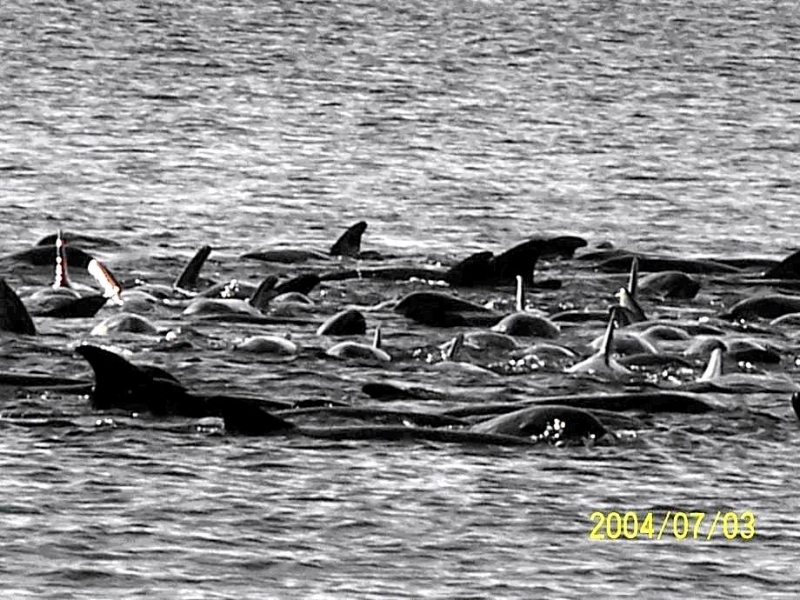 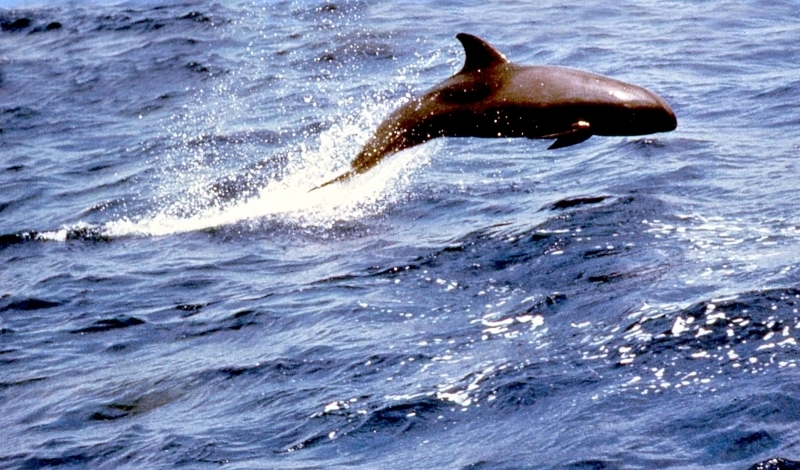 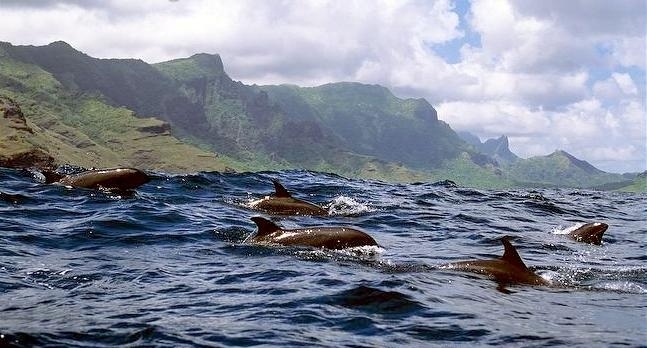 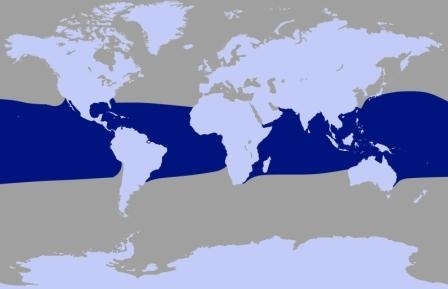 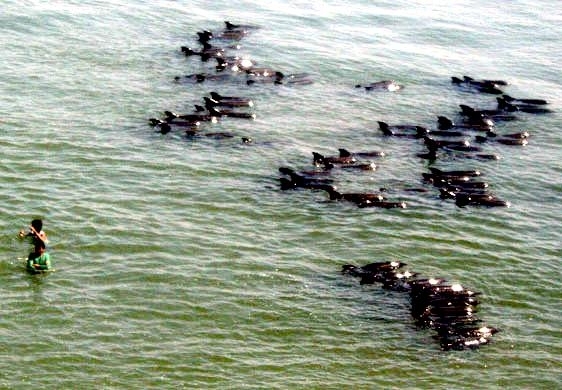 In the tropical Atlantic, Pacific & Indian oceans, they have been reported traveling with Fraser’s, Spinner and Spotted Dolphins. 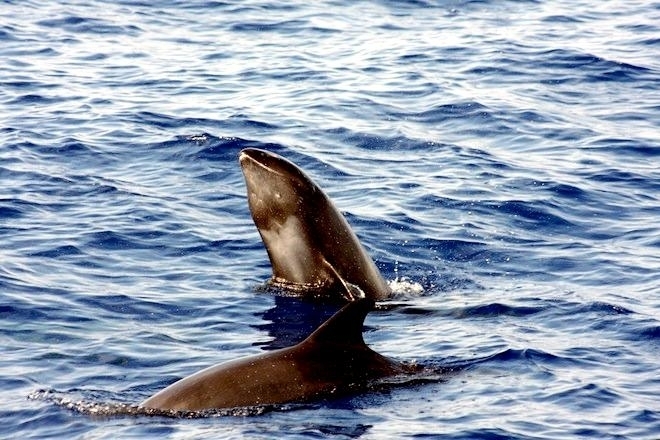 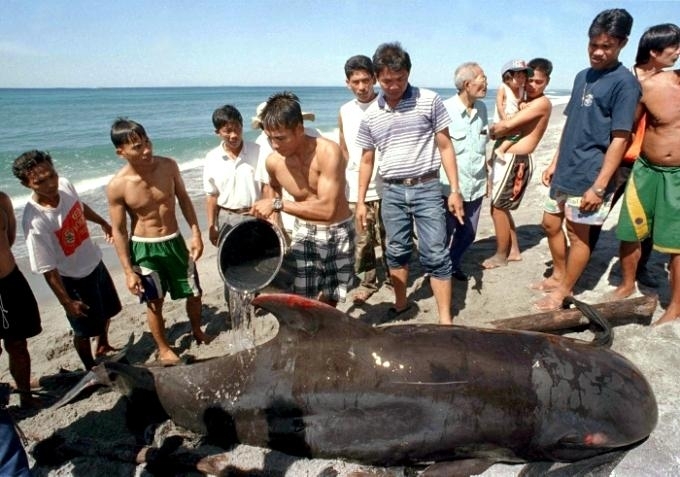 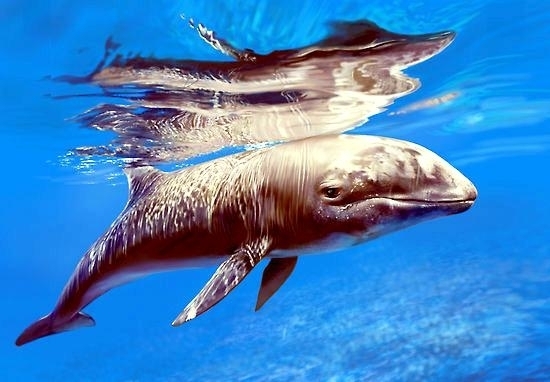 Melon-headed Whales are found in tropical & subtropical waters worldwide, most commonly in the Philippine Sea. 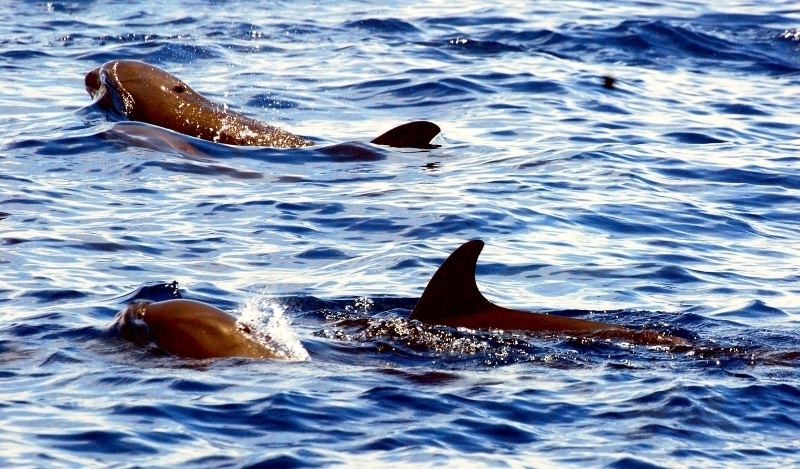 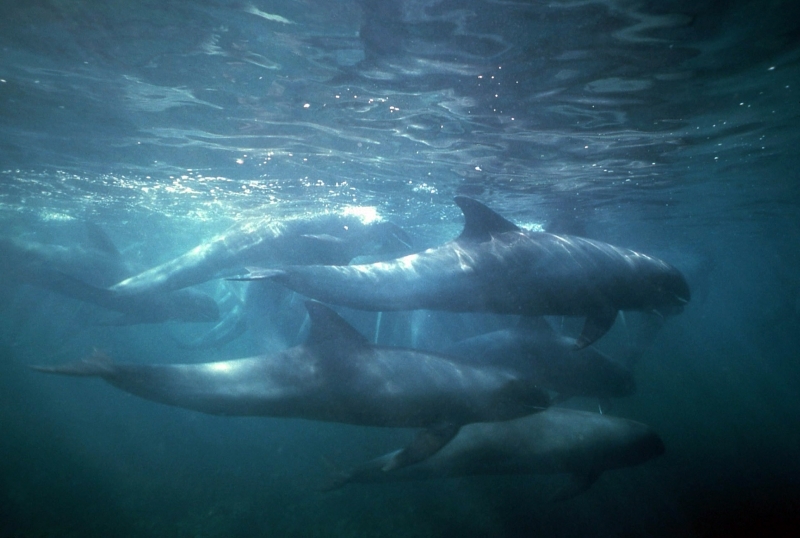 They favor warm, pelagic waters. 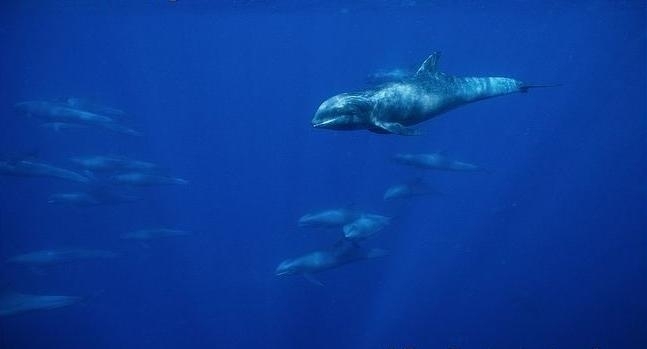 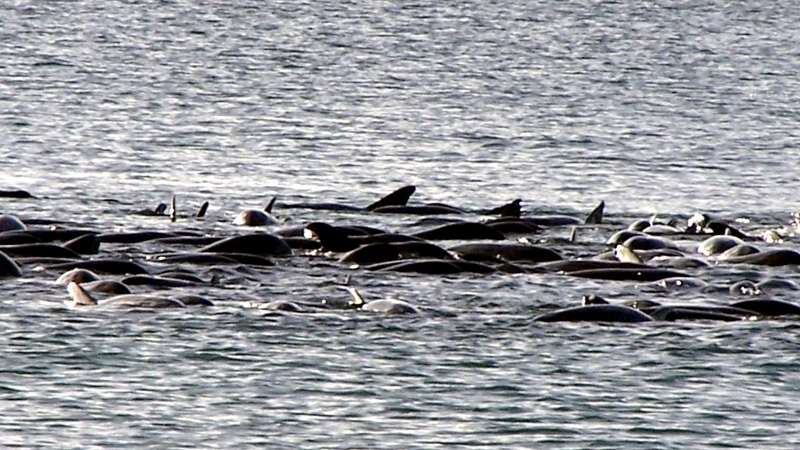 Melon-headed Whales travel in pods of 100-1,000, although even larger pods have also been reported. 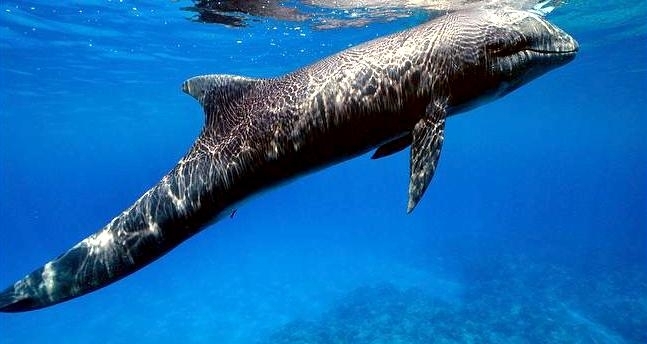 Melon-headed Whales feed primarily on squid & fish. 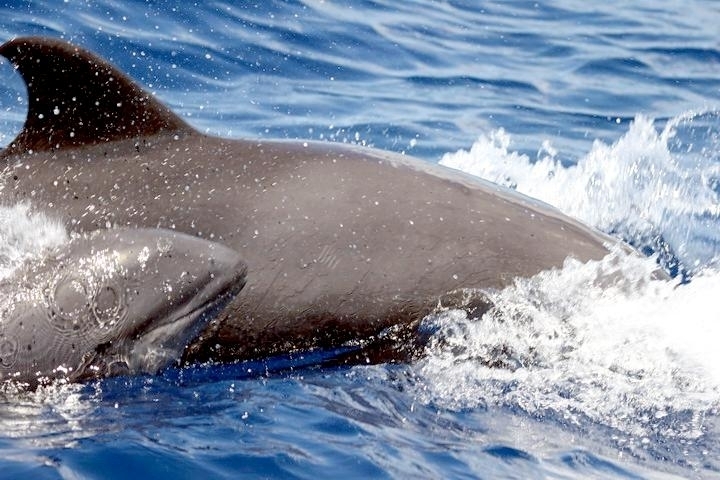 The calving season of the Melon-headed Whale is thought to occur in early spring in the lower latitudes of both hemispheres. 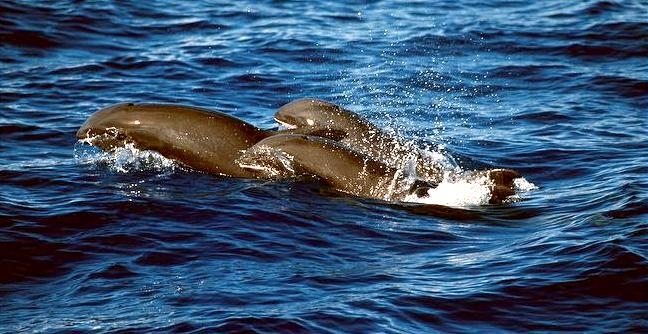 Little else is known about the reproductive behavior of this species.